During summer, there is high moisture content in the atmosphere due to which the hair becomes damp and oily. It looks fresh after hair wash but after a day the shine goes missing and hair looks oily and dull. There is dust and pollution in the air. When you come in contact with such air, then your hair tends to become frizzy and out of order. This can also lead to hair fall and split ends at the end of the summer season. There is lot of heat in the atmosphere during summer season. This dries away your skin as well as your hair to some extent. 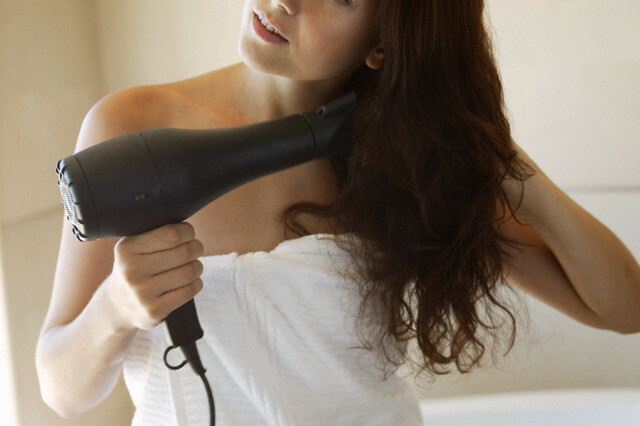 When your hair is subjected to other heating machines like hair dryers, your hair becomes more dull and dry. The color of the hair also lightens a bit when heating machines are used on it regularly. People who have less volume of hair are more prone to sunburn of the scalp. In this case the scalp is directly exposed to sunrays making it itchy and dry. It can also bring some serious problems related to the scalp. Hair is said to protect the scalp, but due to heat, your scalp can bring its own problems which might damage the hair roots to a great extent. Many people apply conditioners and hair moisturizers to keep the moisture content intact. But then they end up having drier hair and scalp. This is because such hair products temporarily help the hair to stay healthy but later on it show negative effects. When summer comes, you should know how often your hair should be washed. If you wash it every day then you hair will be devoid of natural oils and will become pale and dry. While on the other hand, if you don’t wash it for few days, the sweat and dirt will accumulate and will lead to hair fall. Thus make sure you wash your hair twice to thrice a week depending on the summer heat. If you are out in the sun for a long time every day, then you must have noticed that hair tends to lose it natural color and becomes lighter. You should protect your hair well in such cases. Hair care is very essential during summer. Protection from sweat and dirt is important else you might end up losing all the charm of your hair. Here are some tips which will definitely help you regain the luster and protect your hair. Sweat, dirt, sunburn, pollution and many other factors can damage your hair to a great extent. Proper care and precaution should be taken to protect your hair from all damage. Avoid using hair irons and blow dryers as they will make the hair brittle and curlers will damage the natural look of the hair. Other than this, include water and fruit juices in your diet and eat plenty of fruits and vegetables as you need to keep your system cool and hydrated. Conditioners are of various types. If you want keep the moisture of your hair intact, then go for a rinse-out conditioner. Choose the one which suits your hair type. If you want to swim, make sure you use a hair cap to protect your hair from the chlorinated water. 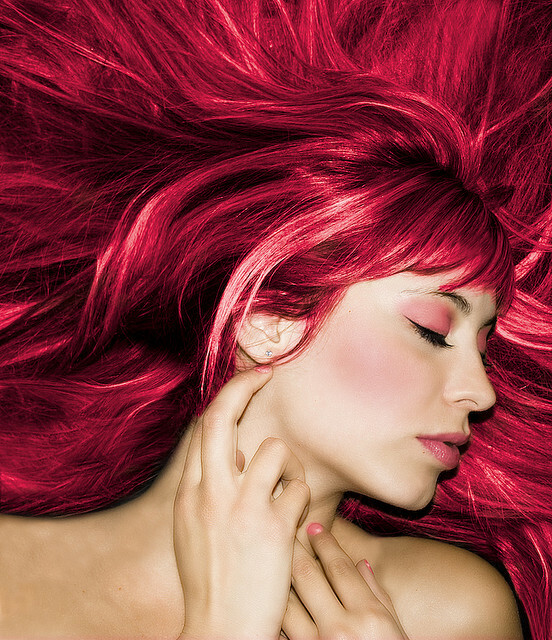 If you are planning to try a new color then go for the ones which are specially made for your type of hair. Cover your hair with a cloth or scarf to protect it. Hair masks can be made at home or bought from the market. One such hair mask is mixture of mayonnaise, yoghurt and olive oil. Apply it on the scalp, keep it for thirty minutes and wash the hair to get healthy and moisturized hair instantly. If you are among those people who have to been in the sun for a long time then opt for a hair sunscreen with high SPF. Try using a hair mask crafted for your hair type. Use a mild shampoo which has minimum amount of chemicals in it. Apply shampoo only on the scalp. Applying it on the hair separately will only add to the dryness of the hair ends. When you buy any hair product, make sure you see the contents. It means you should see if it suits the type of your hair and also your scalp. Use a mild shampoo so that you hair is saved from the unwanted chemical effects. If you are planning to go for a haircut then summer is the perfect time for it. If you don’t wish to get a new cut then at least trim you hair so that all the unwanted split ends don’t hamper healthy growth of your hair. Hair damage is caused by summer heat. If you expose your hair to all types of chemical treatments then you might end up with damaged hair. Visit spas on rare occasions during summer. When you plan to go for a swim, take care not to shampoo before swimming as all the oil are lost when we shampoo and hair is more exposed to chemicals. After swimming, use shampoo which will remove all the chemicals. By now you must be well aware of all the care that needs to be taken to protect it from summer heat. So, try out all these tips and maintain your beautiful hair.